As you all might know, Nintendo’s latest console, the Wii was a winning machine that saw people queuing up to purchase it in many countries worldwide. This is a feat for the 119 year old venerable gaming company who gave the world Super Mario Bros and my first gaming console, the NES (Nintendo Entertainment System). As a casual gamer, I switched to Sony’s Playstation in the mid-90s, from Nintendo’s Super NES, due to great RPG offerings from Square Enix like Musashi, Final Fantasy VII, and other great games like Metal Gear Solid. 1) Increasing the Market SIze of Gaming: Video games are no longer just entertainment for 10-20 year olds, but cater to everyone in the family. Some old age homes even have Wiis in their entertainment lounge! 2) Bringing Simple Interactivity to the Masses: Simplicity leads to adoption and more time for real fun! Games on the Wii are much easier to play with due to the wireless intuitive controls of the remote and the ‘nunchuk’. Fighting and crossbow-hunting makes it more immersive for gamers who likes RPG. 3) More People, More Fun: With Games like Wii Sports, it is not jut restricted to 2 people playing simultaneously. 4 or more can join in the fun! And because more people joins in the fun, there is more fun to be had! In fact, the Wii is great as a party gaming console and features heavily in funfairs. 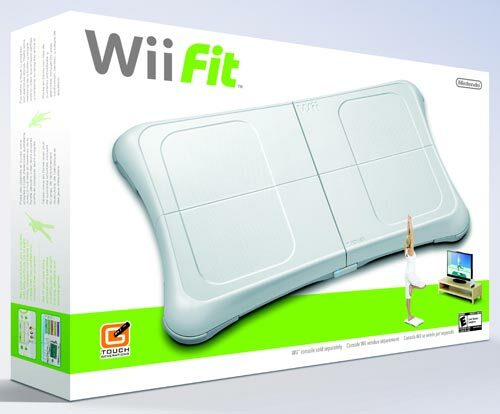 4) Games and Accessories that Matter: The Wii Fit and Music are just 2 examples of how the Wii not just broadens its vertical depth, but also its horizontal breadth. Playing tennis in the living room, snowboarding on the balance board, and simulating playing all sorts of musical instruments. How a Good Product can Make Life Easier! Only In the United States?